Ben calls this a "stout" opening hole, and it is. 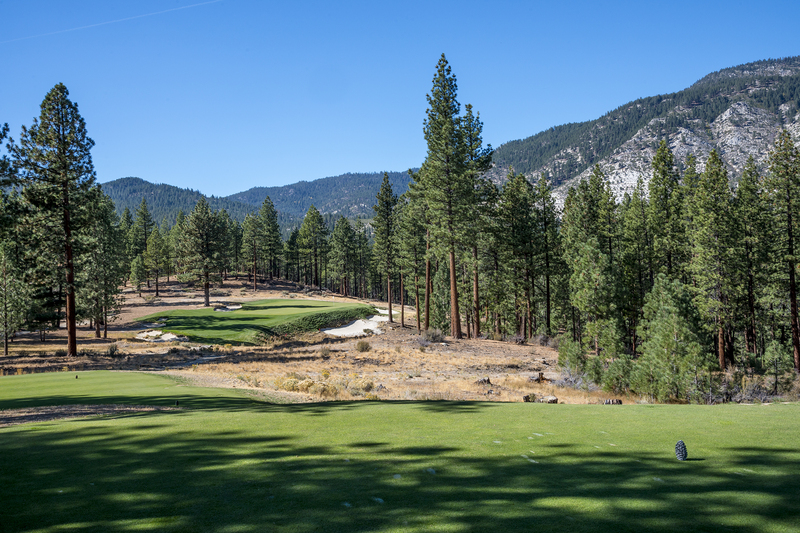 From the tee, the hole plays slightly uphill. Shorter hitters may want to stay up to the right side of the fairway and play for par by pitching to the green while longer players deal with a mid-iron to a challenging target that slopes left to right. The rock garden made for a perfect green site. 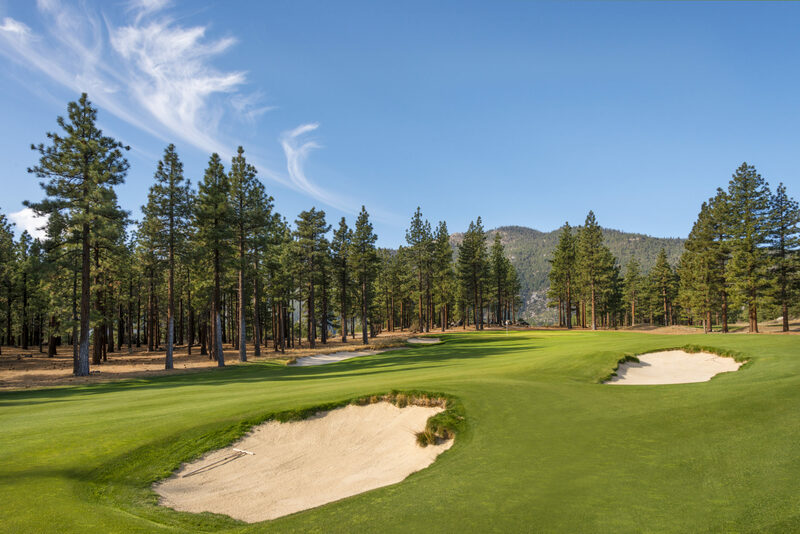 This hole occurs at a wonderful intersection of holes - enjoy the interaction with other golfers as you play this uphill one-shorter. The terrain allowed us to play with visibility. A little uncertainty adds to the fun. This hole begins not so much with a tee box as a launching pad! 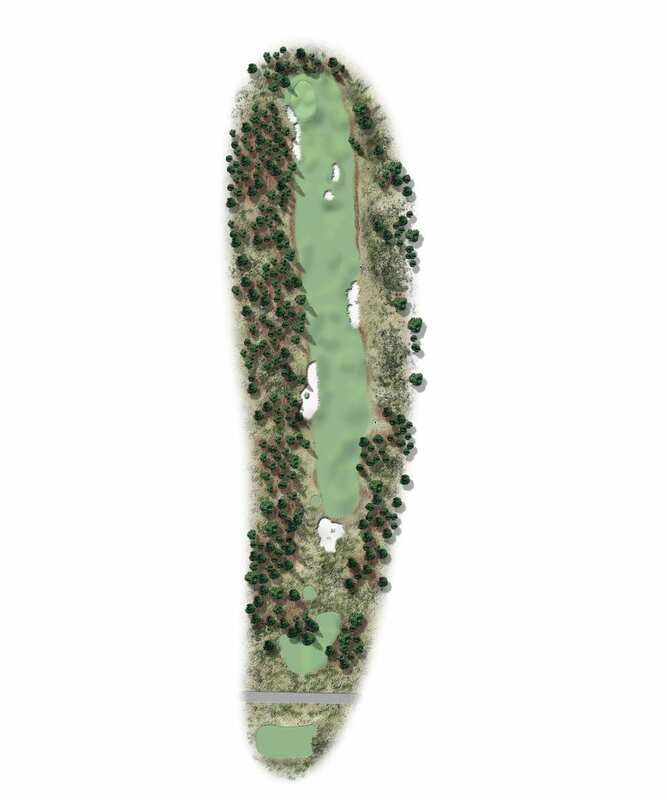 Maybe the most dramatic tee shot we have ever done, and one that sets up the routing for the rest of the front nine. Approaches will bound and feed to the right. 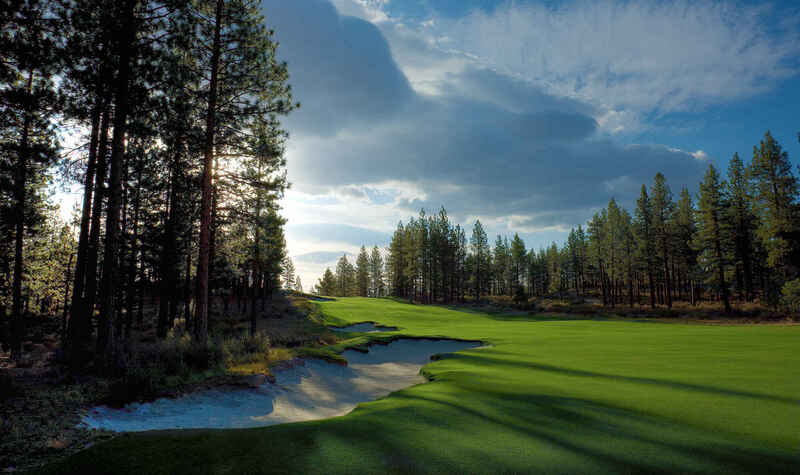 The best spot is just beyond the bunkers short of the green. Let it run. 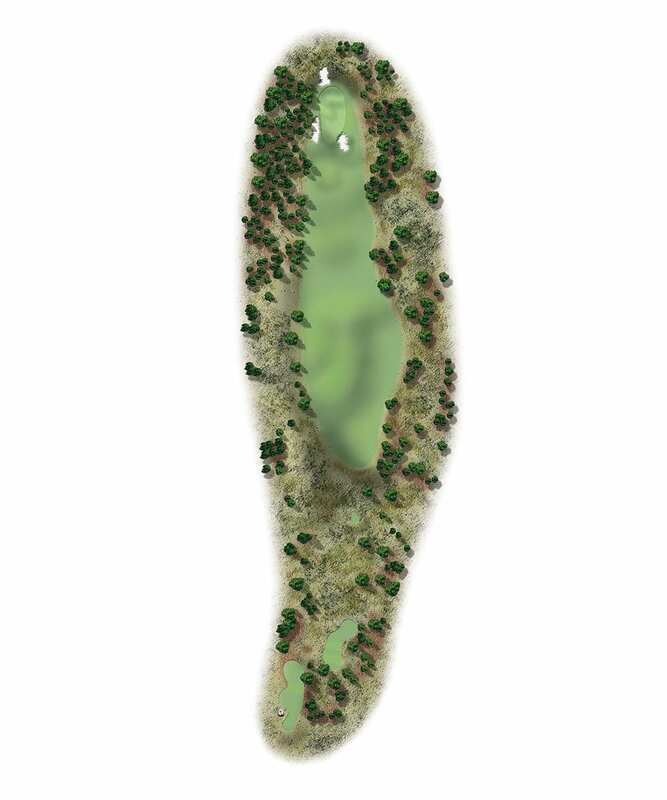 If you want interesting golf, take a tabletop and turn it on angle - like the green here. 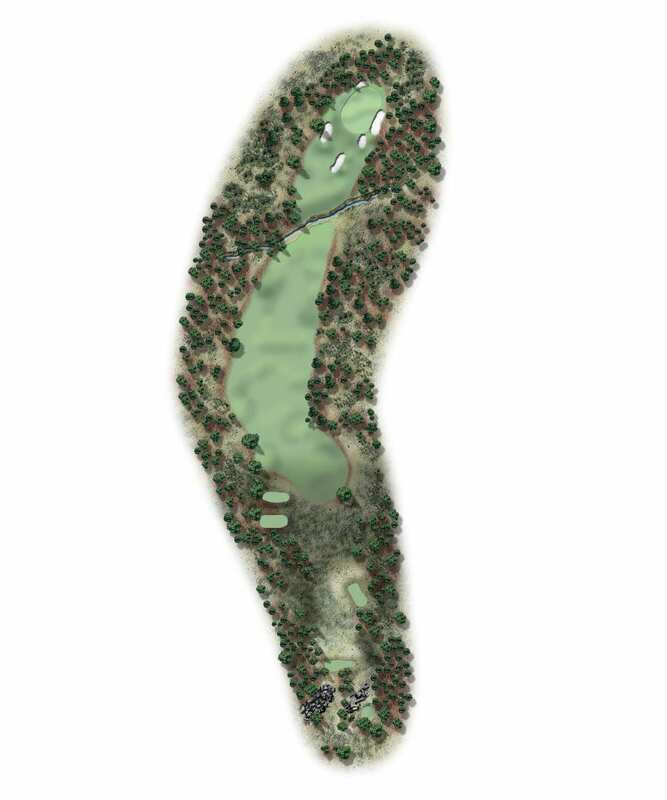 After a nice start to the course, you can find calamity on this one. 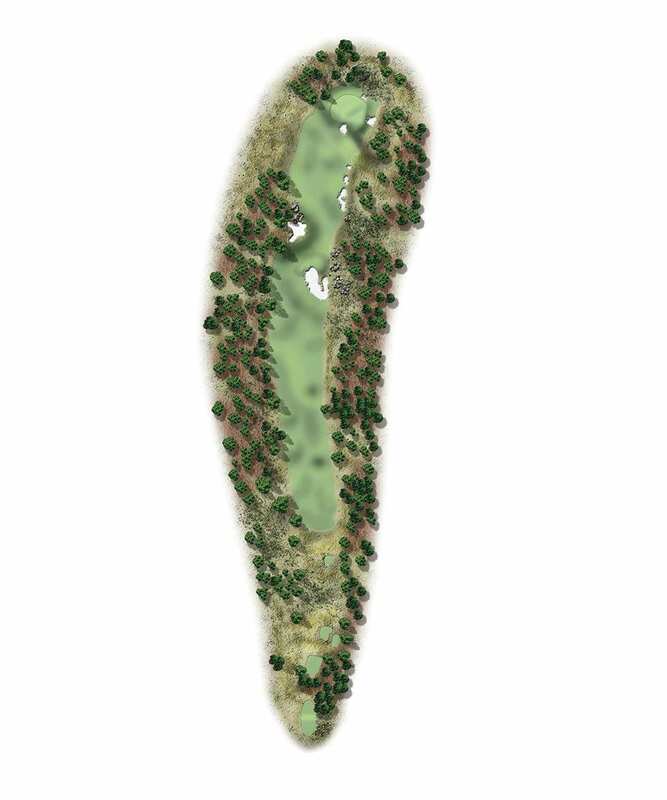 The green features a lot of movement from left to right, and, obviously, short and right is a tough place to be. 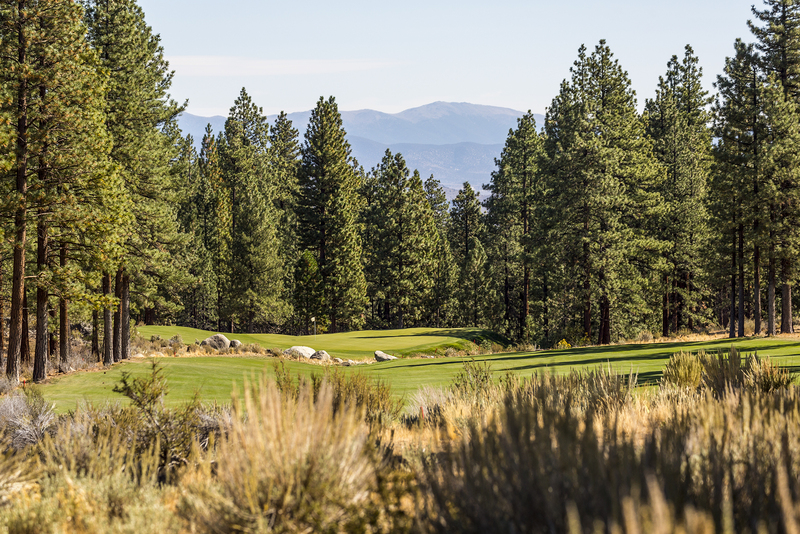 We named this hole "conundrum," and it lives up to the billing. 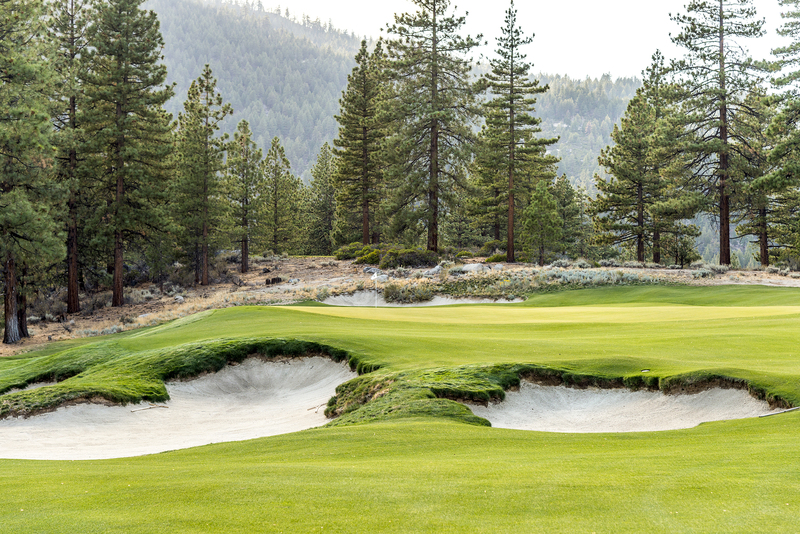 Big hitters can give it a go, but you have to challenge the deep bunker to the left. 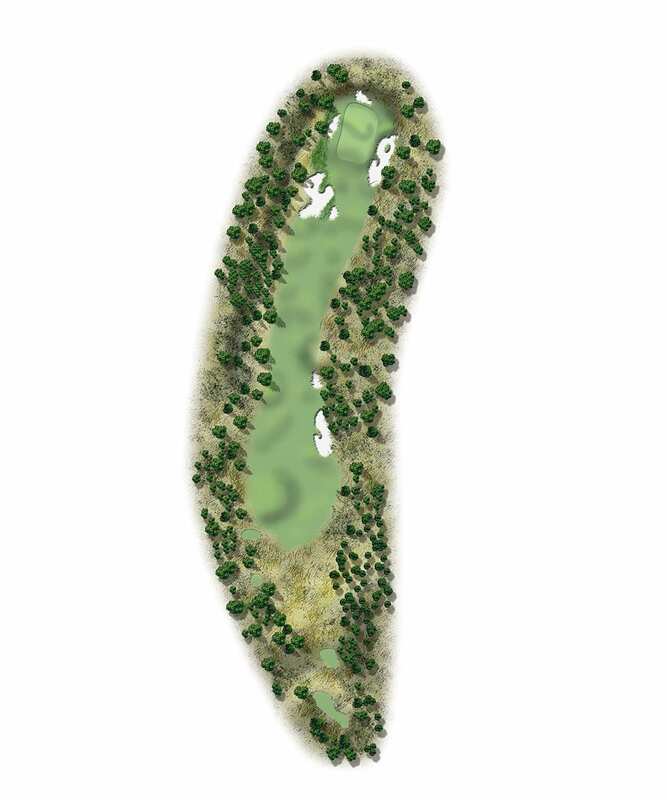 Most will have better luck coming into this green - one of the most interesting on the course - with a wedge. Of course, that means you have to work around the little bunker in the center of the fairway. 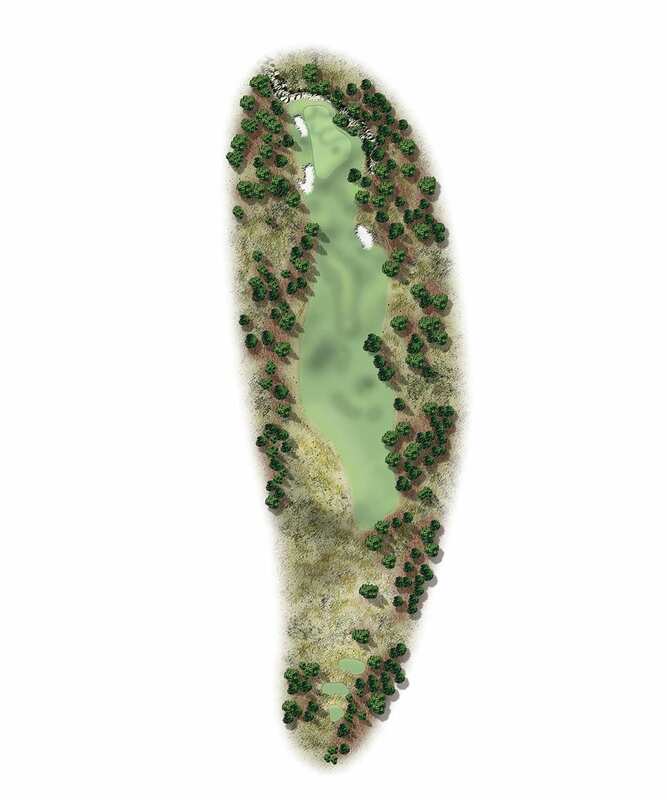 It's the smallest on the course - and the most in play. A quick look at the card might suggest a real birdie chance here, and you can play this hole a number of ways and get that chance. But the seemingly tame length can get into your head. 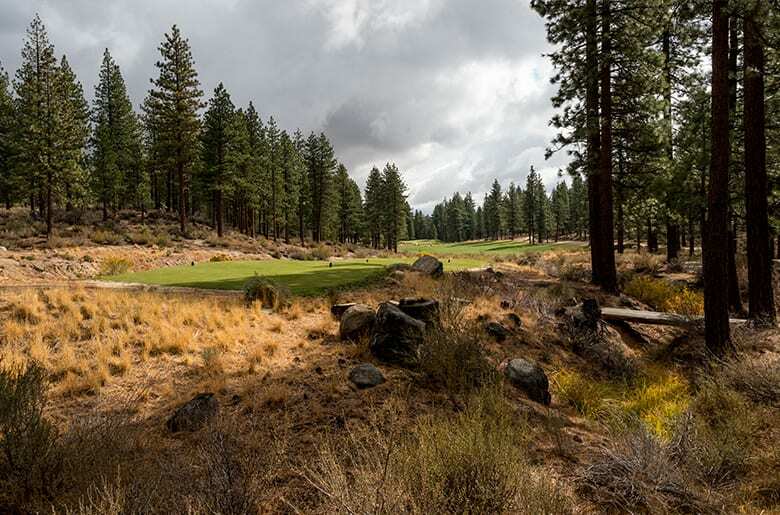 Miss the tee shot left, and you'll find trouble. Miss your second to the right, and a group of small hillocks will test your touch and creativity. It is a scoring opportunity, but don't let your guard down. 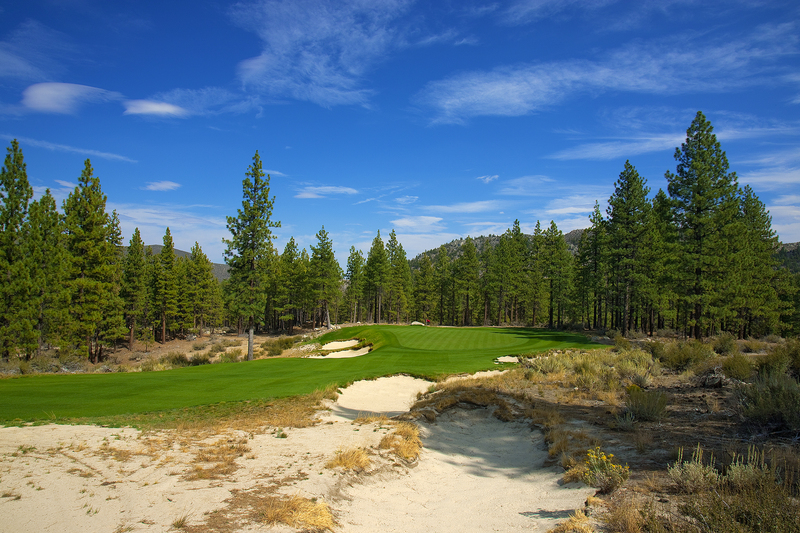 This is a classic old-style mountain hole - over a valley to higher ground, an uphill second to a plateau green - with a twist. 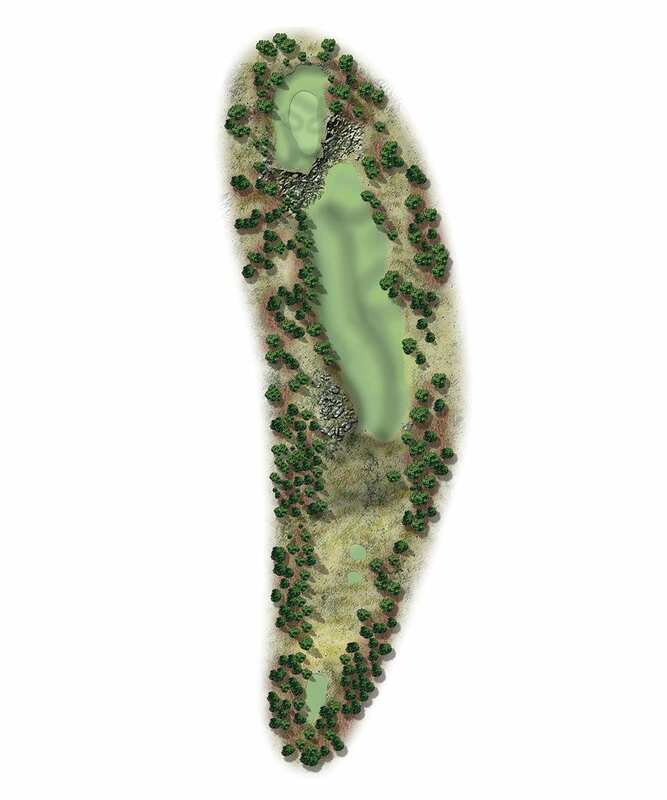 A steep hill at the back right of the green is the primary feature of this hole. It provides some visibility and depth to an otherwise obscured target. 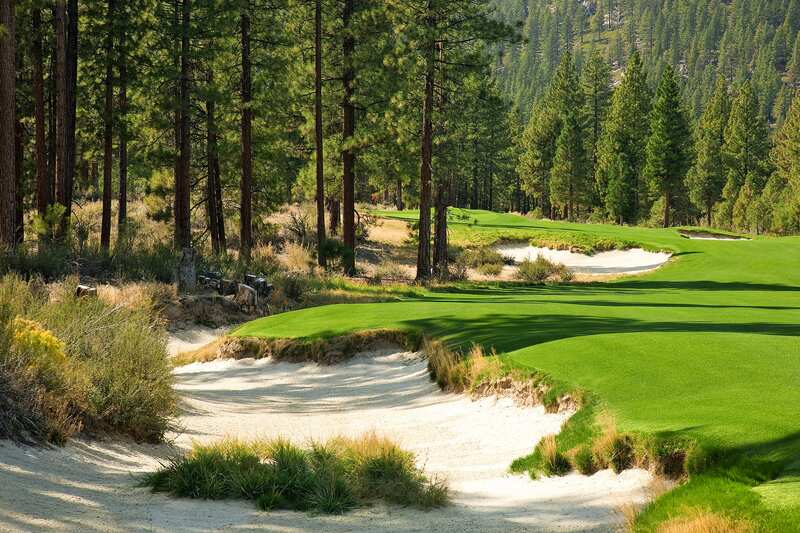 The hill might serve as a backstop for a low shot, or it might repel an overly aggressive approach. But the bottom line is that it provides shotmaking options, which we are always seeking. This little hole looks as simple as can be. 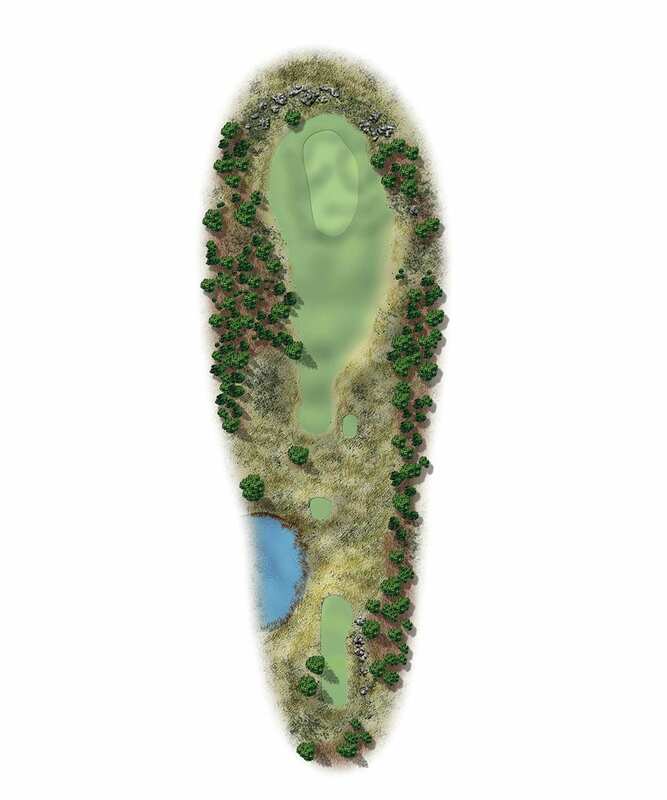 But the green has a subtle crown that brings the deep bunkers on the left into play. Where the hole presents itself In the sequencing is just great. 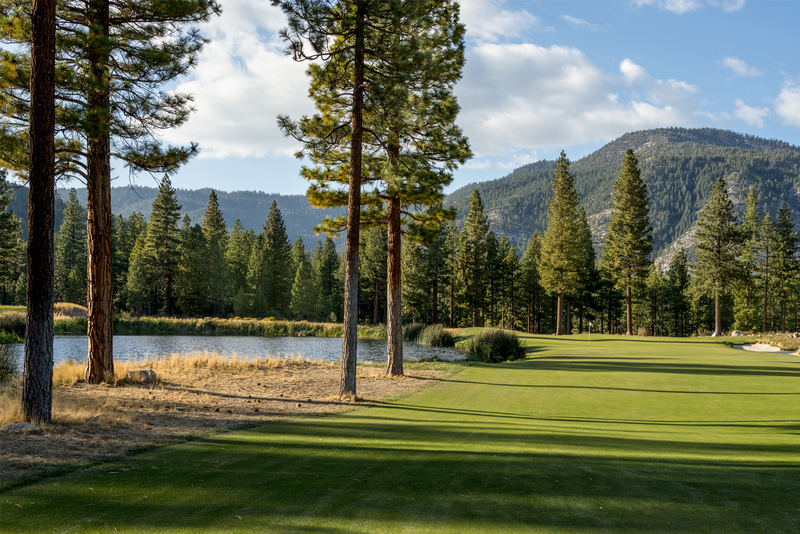 If you study the routing at Clear Creek Tahoe, you can see that it was a great way to connect segments of the course without having to disrupt any major landforms. This one has a lot of individual character. The mountain views, the rock outcroppings - all of that tells you where you are. There is a lot of difference between how you can play the hole and how it makes you want to. 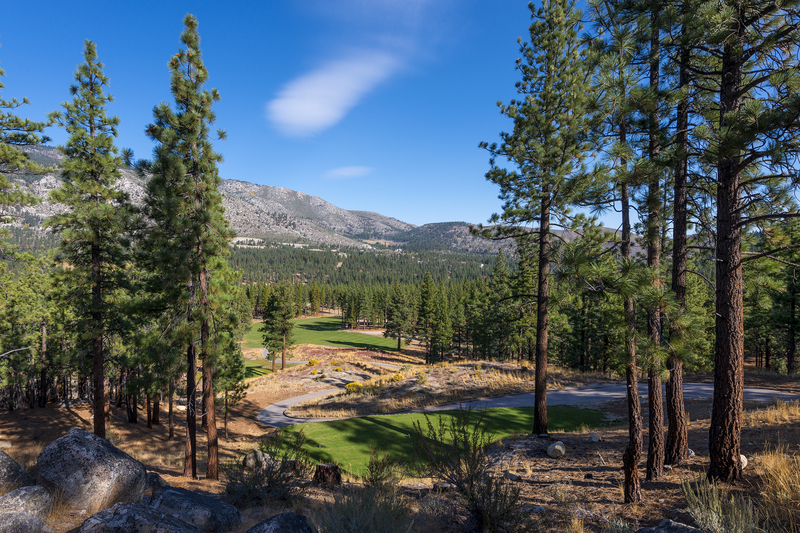 The green sits in a natural amphitheater, with lots of interest and lots of risk. One of my favorite points on the golf course. 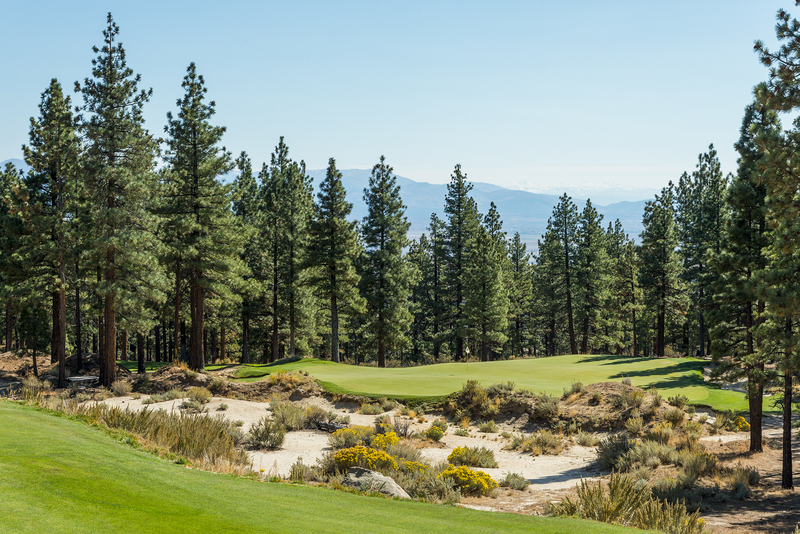 Holes come and go from this point, and your second nine begins with a classic up-and-over hole. This one just wanted to be there. Pay attention to the tie-in to the right of the green. Tie-ins generally provide a good clue about how to shape the approach. 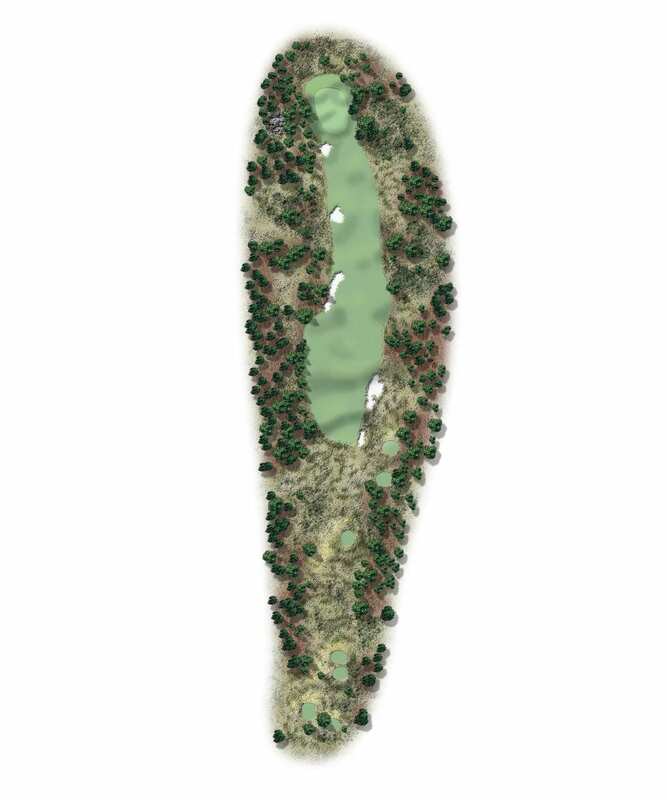 This mid-length par-4 features a wide landing area. 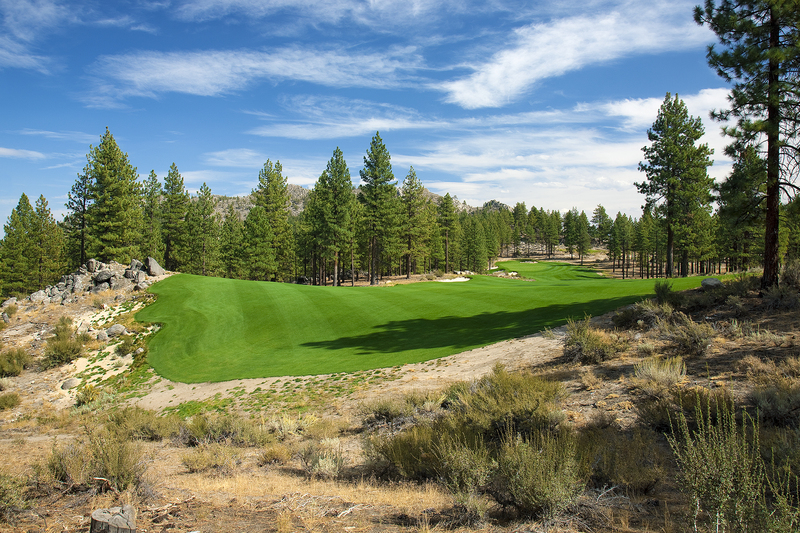 You need the width, however, to accommodate the many angles available on the approach to this unique and baffling green. 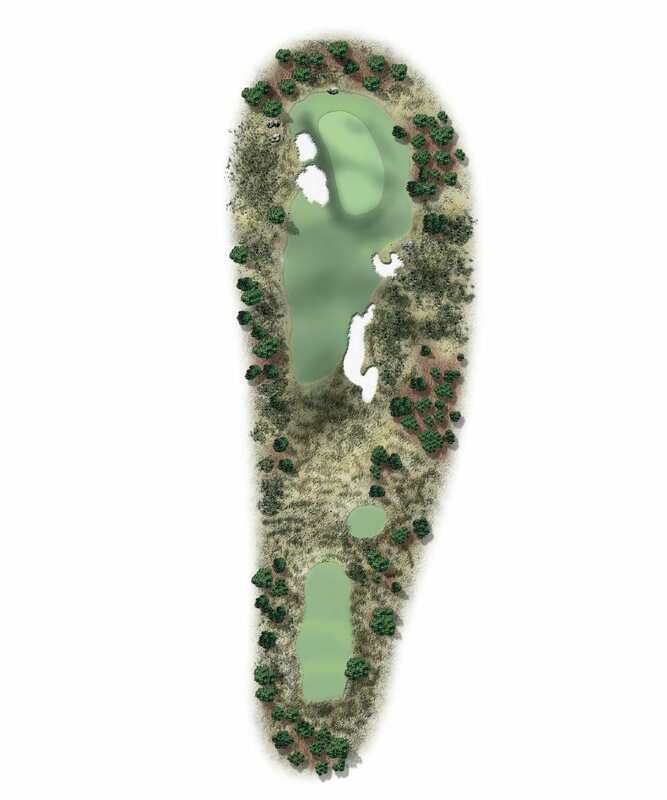 The green features a ride that runs the length of the putting surface, a small knob on the back left and fall-offs on both the left and the right, bringing water and a deep bunker into play. 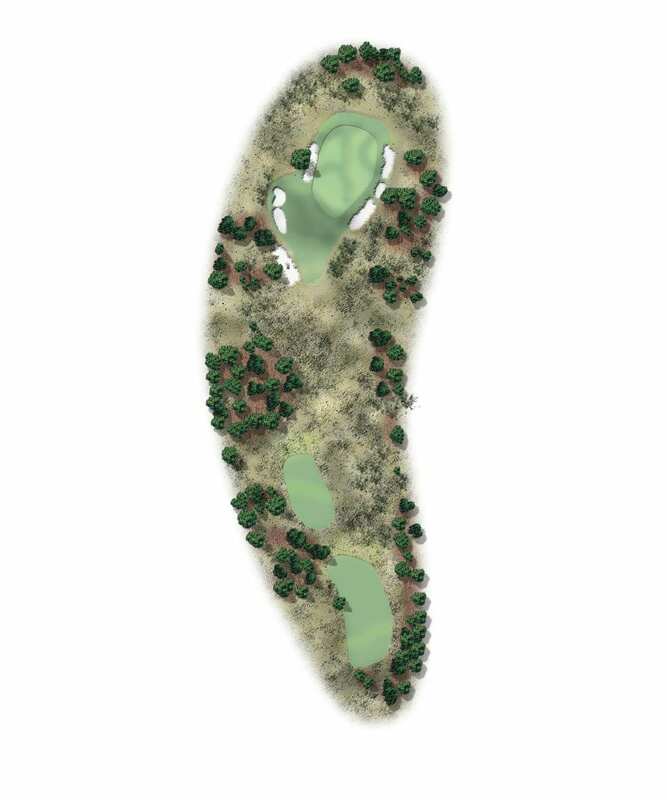 There are many ways to play this hole, which add to its complexity. 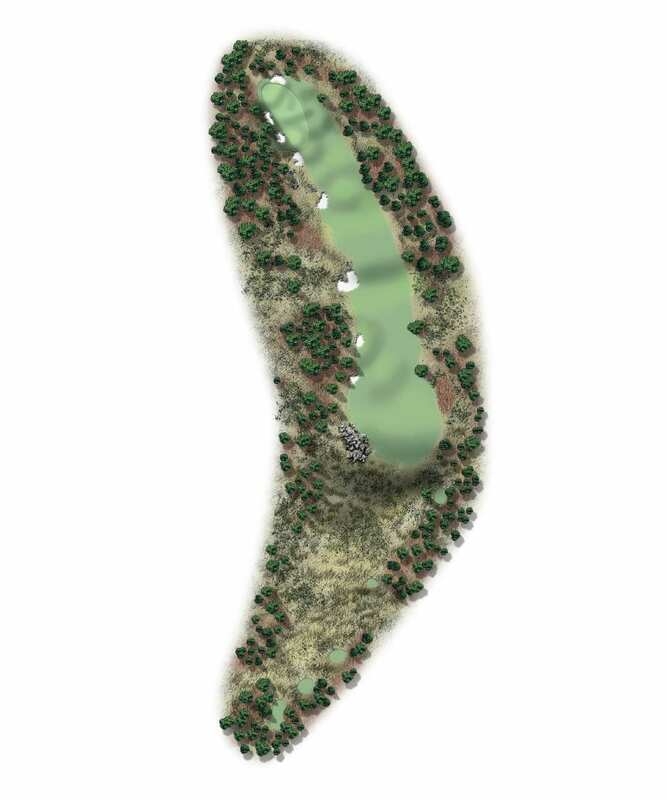 Length is hardly the most defining characteristic of a par-3, but on this flat portion of the land, we saw a great place for a long par-3. The only real trouble is to the left, but don’t develop a false sense of security about the right side. 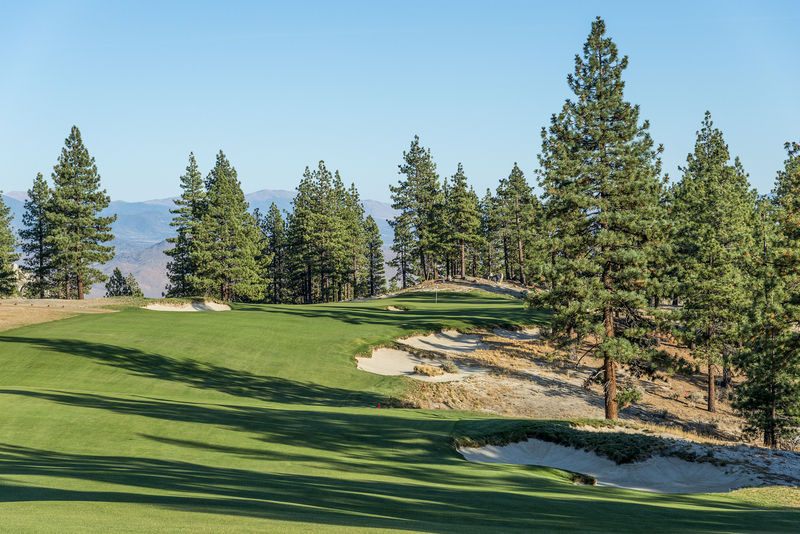 The small hill short and right provides so much character that no bunker is necessary on the hole. 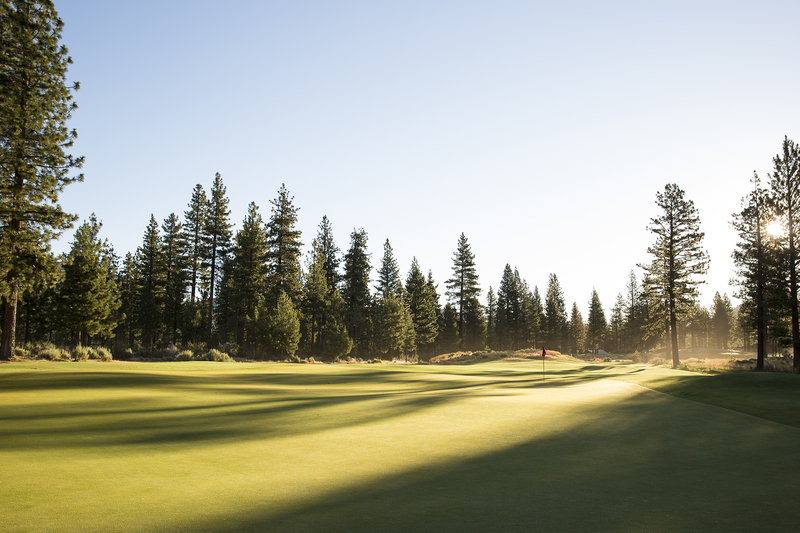 The movement of the green creates a challenging up and down – or two-putt. 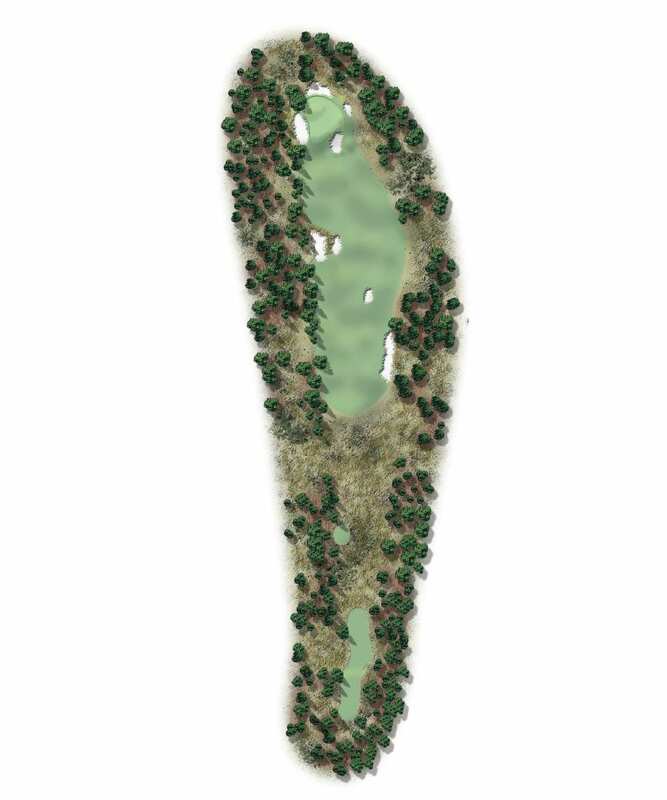 Sometimes the land just tells you what to do, and that was the case with this long par-5. 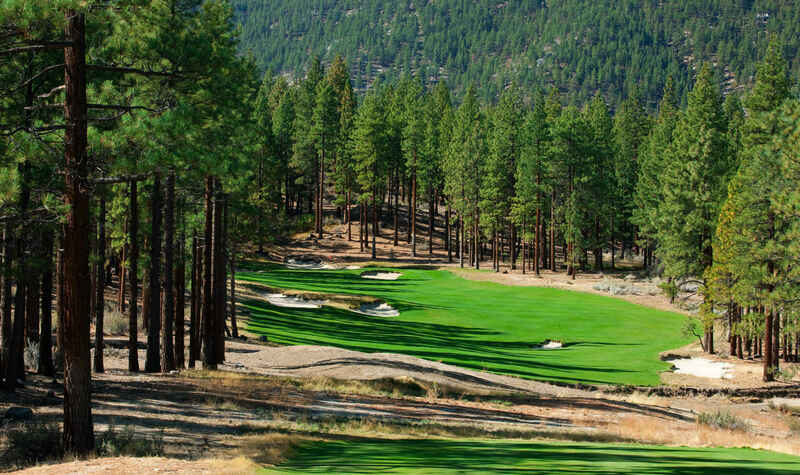 The green sits atop a steep drop, with incredible southern views of the valley. Another small bunker makes a big impact here. Smart players should consider all the elements before the lay-up second shot. Sometimes the best play is not directly at the green. A wedge shot from the left side has many more options. 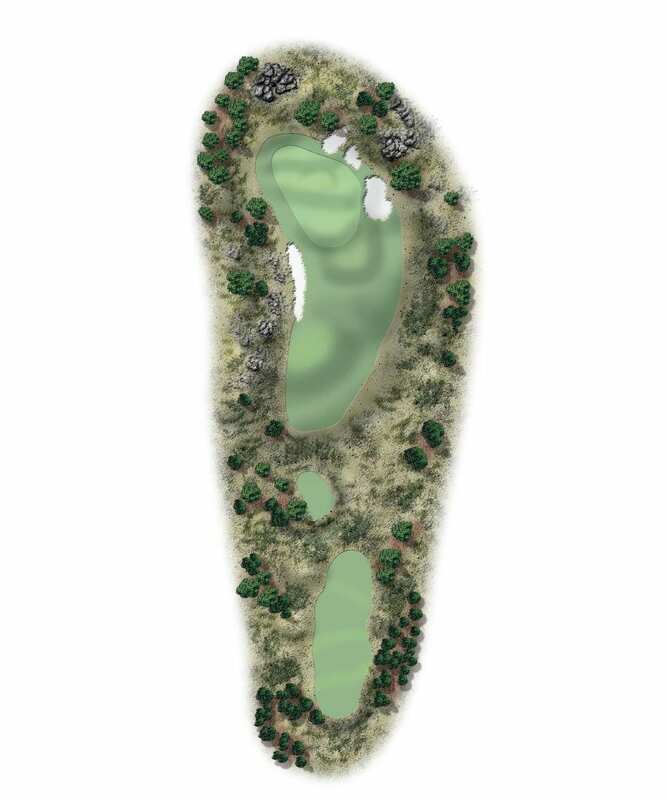 This hole tip-toes through the trees – a real forest hole. 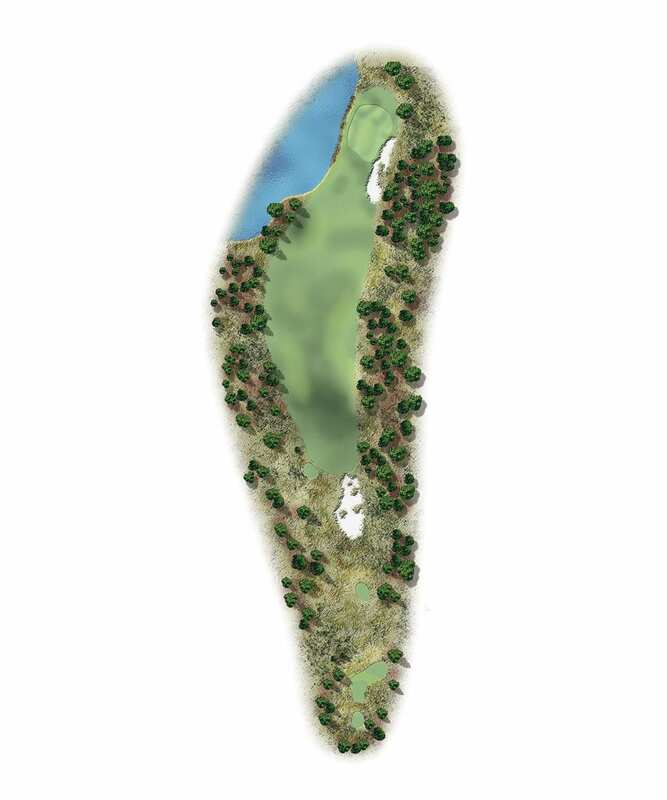 The fairway narrows the closer it gets to the green, so long-hitters have to be straight if they give it a go. The green borders an old irrigation ditch and several distinct target areas. 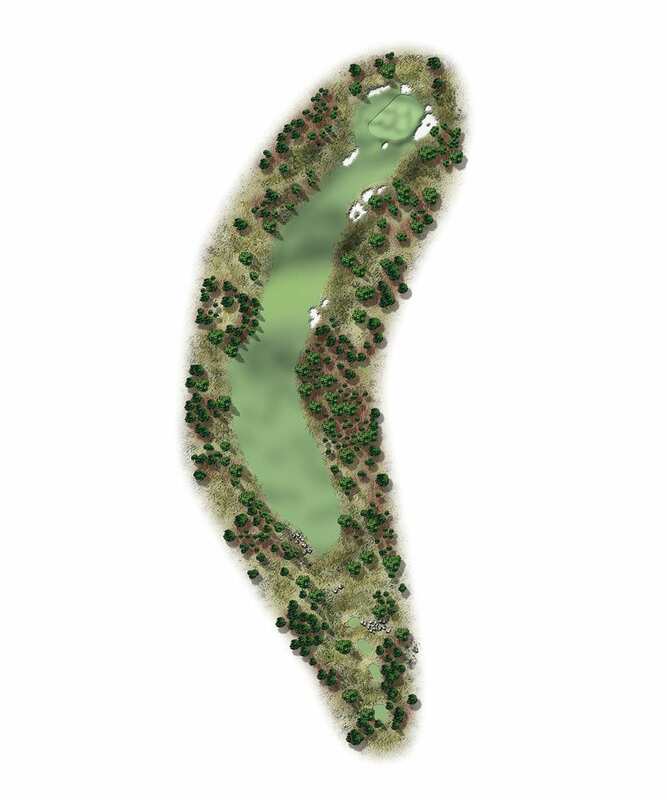 There is a lot of golf in this little hole. The barranca that runs down the left side and then cuts in front of the green makes this one of the most spectacular holes on the course. 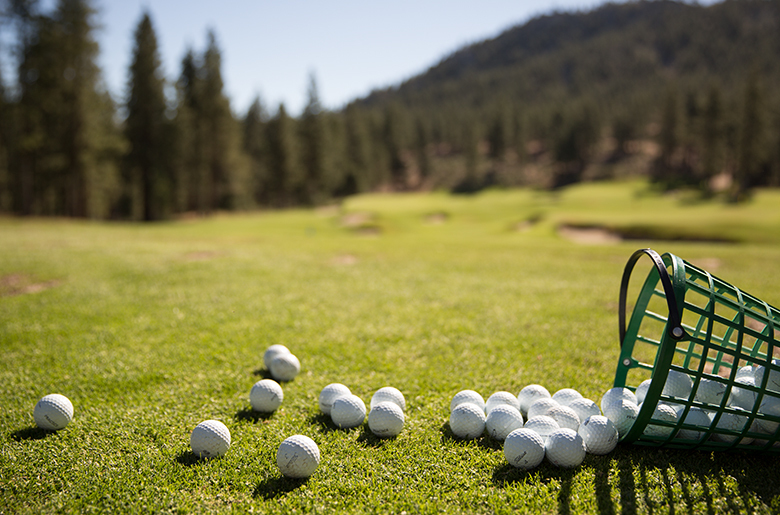 Beware the urge to bomb it off the tee – you can easily go through the fairway and get into real trouble. 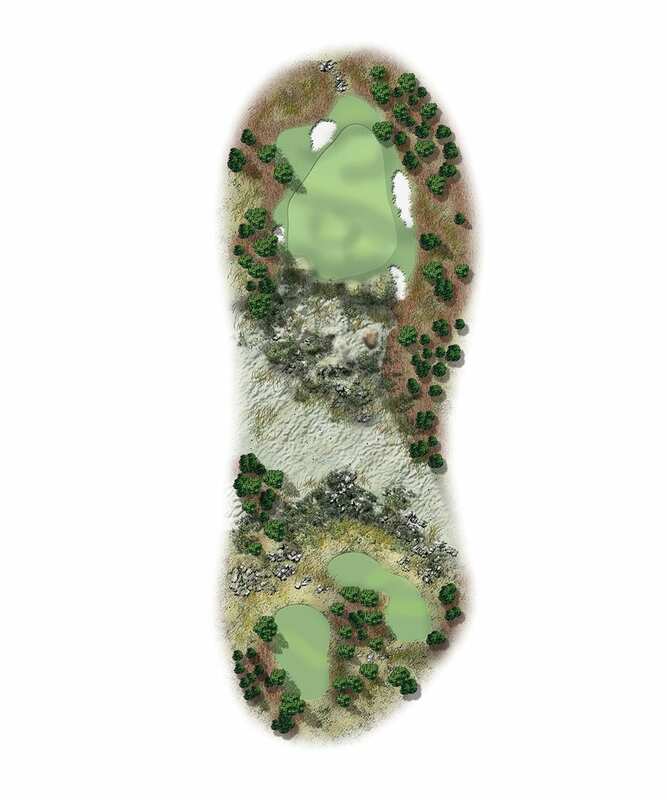 Better to lag back and take a clean swing to this green, where everything feeds from left to right. 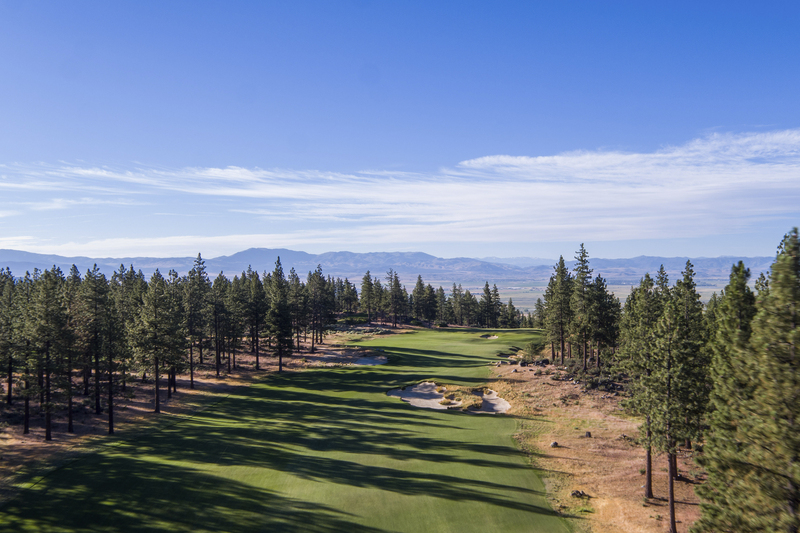 A tough tee shot, where the fairway bends left but runs right. You want to get the drive up on the left side if you can. That will give you a good view of the green. This is one of the prettiest second shots I know – the cliffs and the mountains and the green sitting there below them. It also brings you back to the hub where so many holes come together. We love building pitch-shot holes. 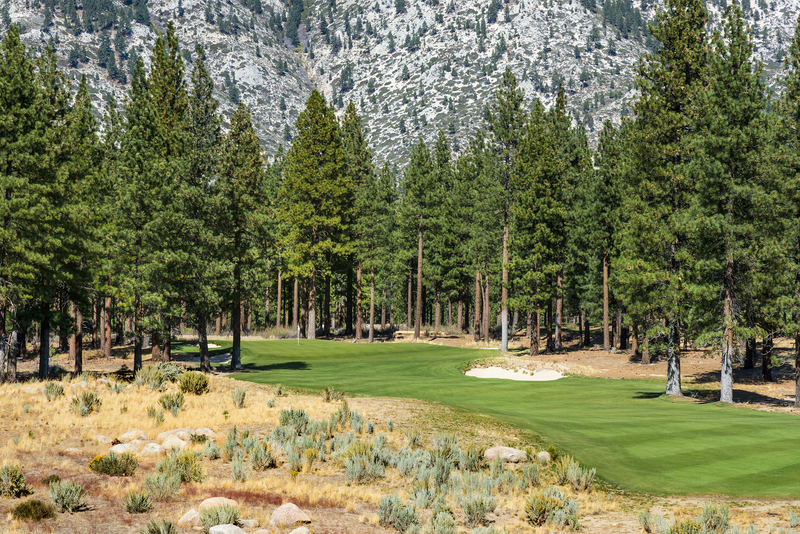 Conventional wisdom says you should play a pitch shot to a very small green. In this case, we went with a very large green defined and bounded by a fascinating waste area where ranchers had worked to drain water. There are lots of small targets on this expansive putting surface, which means lots of fun for golfers trying to hit them. 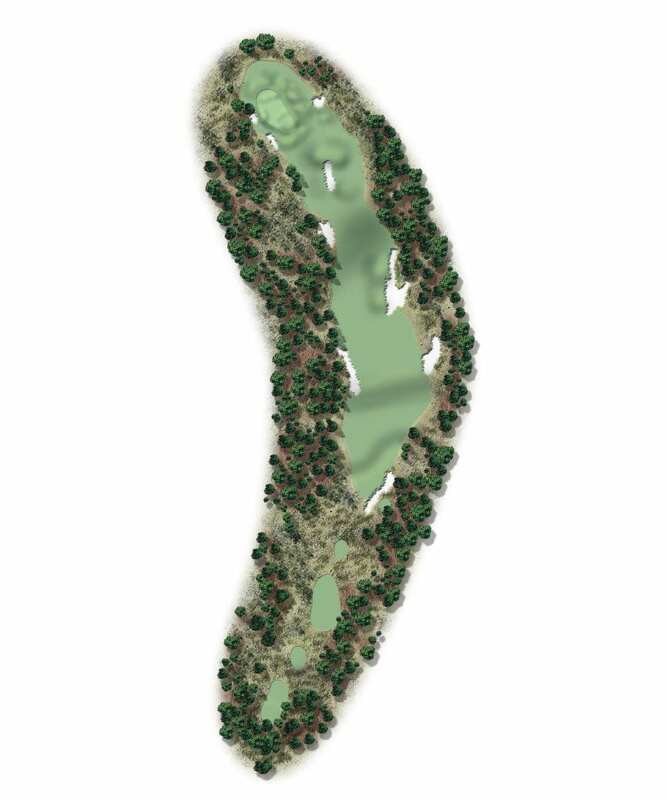 Part of our design philosophy is to take what we find on the land and adapt the golf to accommodate those features. This hole is a great example. The vistas on this hole are just off the charts. What a great way to finish the round! The greensite was easy to see. Our challenge was to figure out what kind of hole wanted to go there. 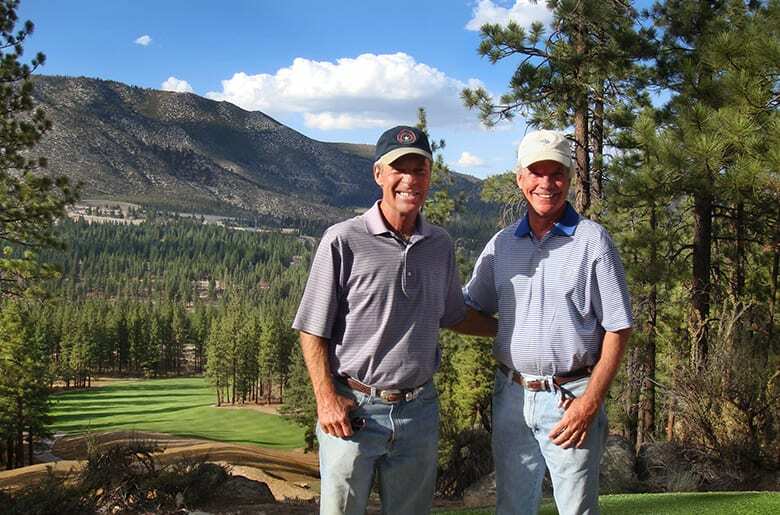 In the end, it was a short, kind of quirky par-5. There is a lot of movement to this hole, and you’re never quite sure you played it the right way. Finally, there’s that dastardly little bunker in the center of the approach to the green. Don’t ignore it. It may be little, but it’s loud. 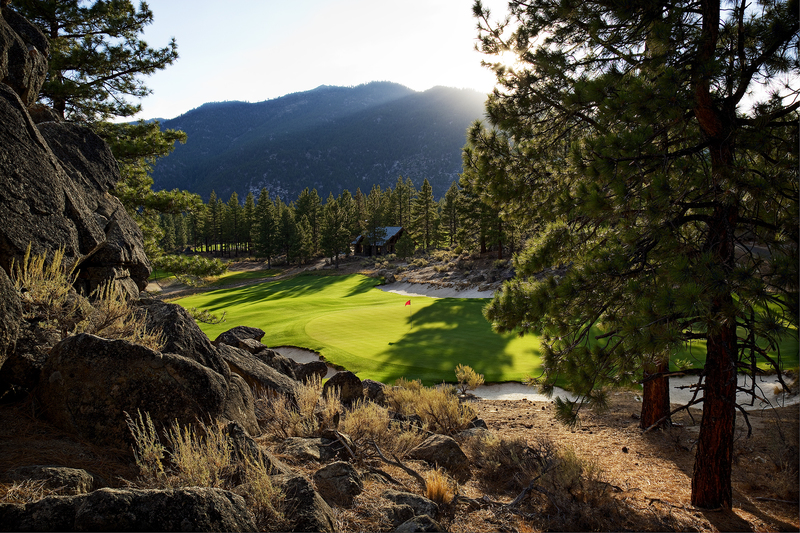 This finishing hole leaves you in one of the most beautiful spots on the property. Take a moment to take it in. 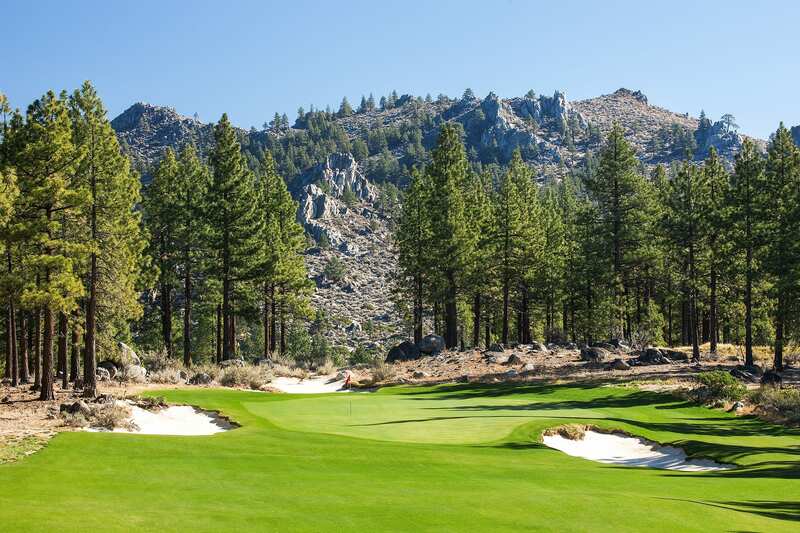 A fitting way to cap off a round at Clear Creek Tahoe.